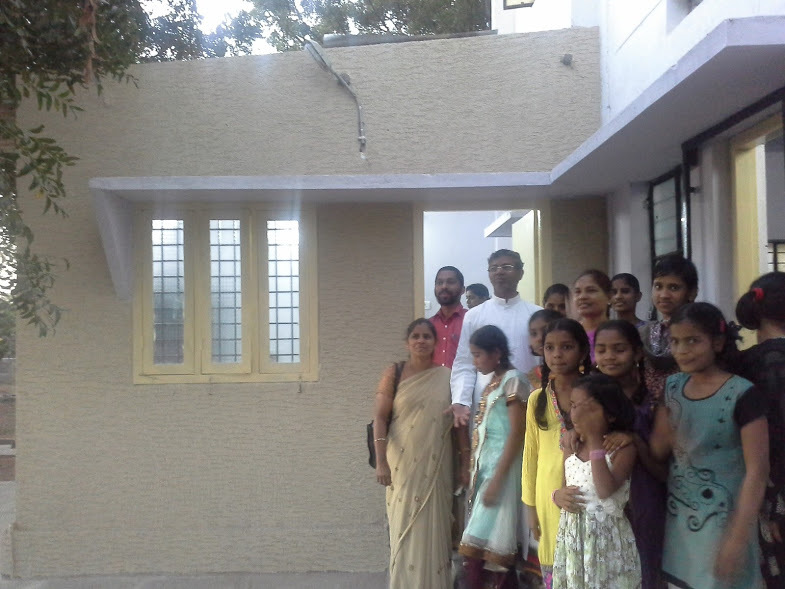 Prior to it Fr Bellamkonda Sudhakar, Director of Don Bosco Navajeevan Homes, Hyderabad welcomed informally every one for the blessing and thanked Fr Provincial for accepting to bless the kitchen at DBPSS, Haythanagar. Previously we do not have proper kitchen and dining hall was used also as kitchen. We thank Ms. Olga Piazza our generous benefactor from Switzerland who contributed financially to construct this kitchen. It is because of her generosity we could initiate this new activity for girls in our province especially in Hyderabad as part of the Bi-centenary of the birth of Don Bosco. At this moment I should not forget to thank Ms Cecile Beck from Swizerland an unassuming personality who has been great source of blessings to our province and in a special manner for Don Bosco Navajeevan, Hyderabad from its inception 1999 and now she stands as first person to support our girls centre at Haythanagar. It is all because her love for mission. It all began in 80s. At this moment I thank Ms Margret who was fondly called AMMA (meaning Mother) for donating the building to us. Because of her generosity today are able to continue to our mission for girls which she was doing until the home was handed over to us in 2009 during the time of Fr Noel as Provincial. I thank Mr Gerard our contractor and his team who got ready the kitchen in short time. I also thank Sr. Valsa who following work at DBPSS campus.